Identity theft is a federal crime. You’ve either probably heard about it in the news or might even know someone who has been an identity theft victim. It occurs when one’s identification is used or transferred by another person for unlawful activities. Identity theft is often committed to facilitate other crimes such as document fraud (34%), credit card fraud (17%), bank fraud (8%), or employment fraud (6%), which in turn can affect not only the nation’s economy, but its security. 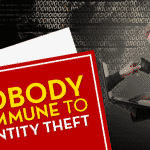 According to the FBI, identity theft is one of the fastest growing crimes faced by consumers and businesses in the world with an estimated 500,000 to 700,000 Americans being victims each year. Law enforcement agencies refer to them as “inside jobs” within business organizations where clients’ personal information is stolen. On Vancouver Island, numerous naive customers paying for fuel through debit cards at a gasoline station were surprised to know that their card number and PIN were recorded first for a transaction and a second time for a thief. The thief was identified by the police as a former employee and was accused of 178 charges of fraud worth over $200,000 using card data. Victims were later reimbursed and the owner executed stringent procedures to prevent any future employment identity thefts. What Type of Employee Data is at Risk? Any subjective or factual data that you gather from employees or clients must not be used without the concerned person’s consent. It includes things like the individual’s name, age, address, gender, credit card numbers and bank account information (85% of cases), identification numbers, income, health records, personal references, assets and liabilities. Generally, personal information excludes worker’s contact information of their workplace but can cover the employee’s e-mail addresses. One desktop is kept that holds all the records of numerous clients. An open, unprotected filing cabinet can be used that contains the license or account numbers and access codes that the company discloses to its partners, vendors or suppliers. Contractors from outside who are hired to manage and build databases can gain access to and copy information related to a company’s customers, that can sometimes include credit card and license numbers. Privacy legislation requires all businesses to verify their security systems to ensure that employee or customer information is not used except for a stated purpose. Collection: Survey all of the personal information that your organization collects during the course of transactions and at other times. Data Storage: Limit usage and access of employee data by encrypting it, using passwords and check for suspicious activity. Screening Employees: Consider background checks for employees who can access sensitive information to protect your business against internal fraud. Enroll your employees in an identity theft protection plan like LifeLock or offer a discount. Make sure your employer stores your personal information in a safe place. Also, find out which other employees have access to your personal information. Put passwords on credit card, bank, and phone accounts so that it is harder for thieves to misuse them. Get credit cards with your picture on them. Call the companies that issue the accounts and find out what security options they offer. Learning everyday about the right to privacy, employees and customers are becoming apprehensive about giving information. Most of them are increasingly holding organizations at fault through law for not safeguarding their personal information. To prevent businesses from losing their goodwill and consumer confidence, taking proper measures for reducing the risk of employment identity theft should be made a priority. 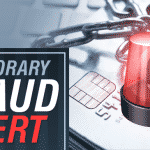 I think that’s a great idea about getting credit cards with your picture on them, because you can never really trust other people and companies to be careful about your personal information. Hey Julian, my credit cards have a picture of me on them. It cuts down the chance of an identity thief using it. You can’t trust anyone nowadays. I was a victim of employment identity theft, so it’s a real issue. Always be aware.